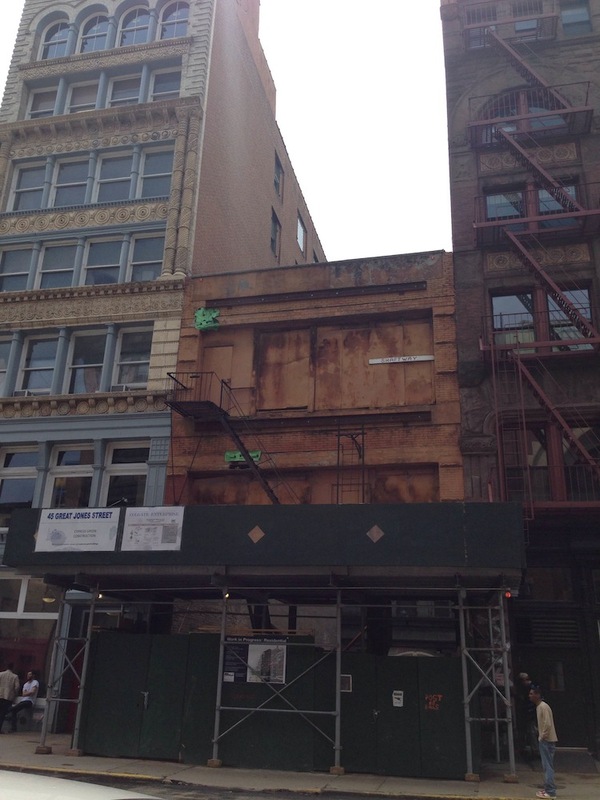 We checked in on former lumber shop 45 Great Jones Street, which will give way to a new eight-story project designed by Beyer Blinder Belle. 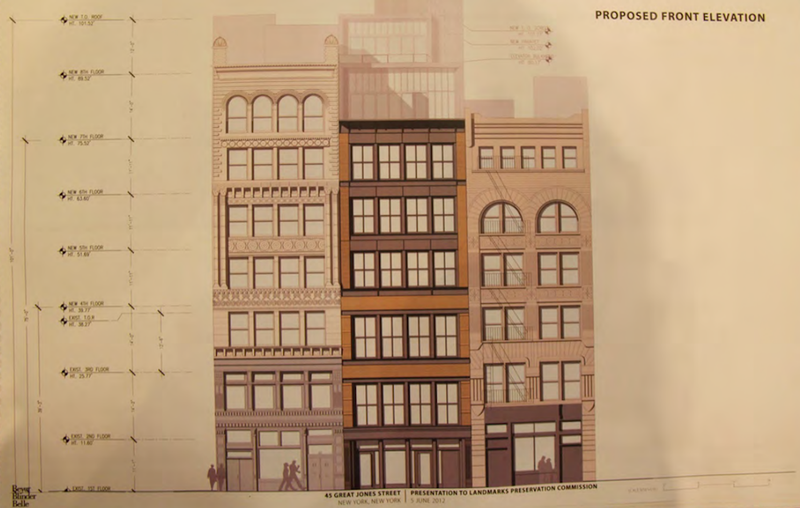 Permits issued March 7th call for a five-unit building with 11,717 square feet of residential space and 1,783 square feet of commercial space on the ground floor. The second through fifth levels will have full-floor apartments, while a triplex will occupy the sixth through eighth stories. Rising 100 feet tall, the building will have a setback on top and aluminum double hung windows. 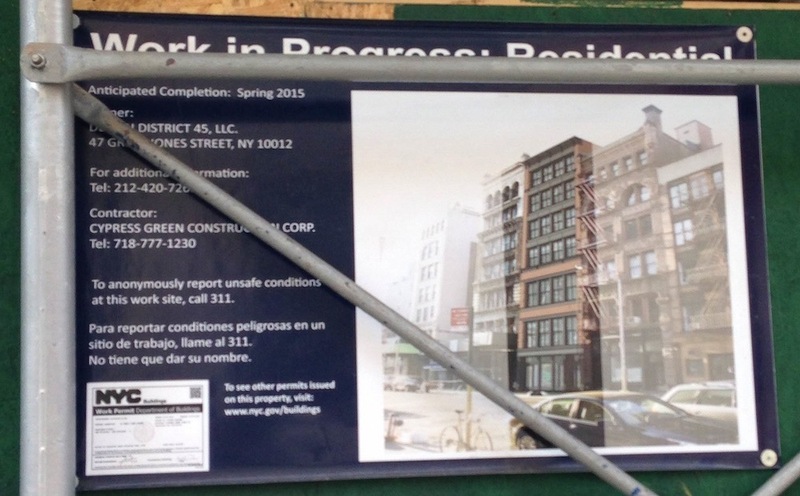 The project is slated to be completed Spring 2015, according to construction signage.